A new neighborhood, "Nofei Aroma," was dedicated on Thursday in the Samaria community of Itamar, located south-east of Shechem (Nablus). The neighborhood was dedicated in memory of Gilad Zar Hy''d, a founder of the community and security officer of the Shomron Regional Council who was murdered by Arab terrorists this week 13 years ago. Construction on the new neighborhood began immediately after and in response to the Fogel family massacre in 2011, when Ehud (Udi) and Ruth were killed in their home by Arab terrorists, along with three of their six young children, the youngest being their three-month-old daughter Hadas. Several regional leaders took part in the unveiling ceremony on Thursday, including Samaria Regional Council head Gershon Messika, CEO of the development group Amana Ze'ev Haver, as well as Zar's parents Moshe and Yael and other family members. Itamar is planning to continue construction on an additional road in the new neighborhood. "This is a convincing answer to the terrorists who made the mistake of thinking that they could break the spirit of the Jewish people through the despicable murders of infants, women and innocents," declared Messika at the event. Messika praised the role of Itamar in defending Israel by establishing a presence in the sensitive area, adding "no eyes will be left dry after beholding this miracle in Samaria. The community of Itamar just gets stronger, holding its head up high despite the hard blows it has been dealt." Twenty Itamar residents have been murdered over the years, proportionally the largest toll in Israel relative to the size of the community. In early May a new synagogue in the town, built in memory of the 20 Itamar victims, was used for the first time for Israeli Independence Day. 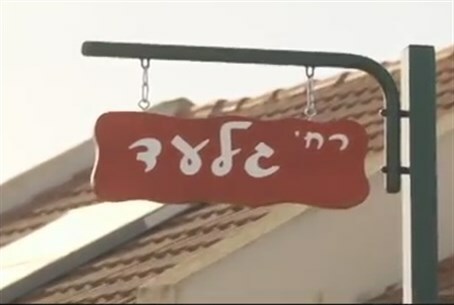 "We knew we would live here"
One of the new residents of the newly founded Itamar neighborhood is Yohanan Goldin, who moved from the Ramat Gan suburb of Tel Aviv with his wife and infant daughter to Gilad Street, which was named after Gilad Zar. "I was a student of Udi Fogel. I had a dream that Rabbi Udi would preside over my wedding. I didn't merit it, but for me and my wife it was clear that we would live in Itamar, even though we met after the murder" said Goldin. Speaking of their motives in moving, Goldin noted "in our opinion every additional family in Itamar is very meaningful, and therefore it was important to us to live here." Gilad Zar's father Moshe spoke about his son at the ceremony, and about the great pain that accompanied his son's murder. "Gilad was like a string that tied everyone together in all things. Therefore it's so appropriate to call the street on his name. A street that connects between people and families," remarked Moshe Zar.